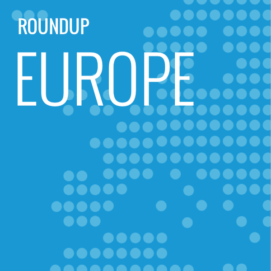 ExchangeWire round up some of the biggest stories in the European digital advertising space. In this week’s edition: Ad tech funding in decline; An ad tech renaissance looming; IAB UK appoint new CEO; The Telegraph quadruple programmatic team; and global advertising revenue to increase 11.1% in 2017. Duopoly driving ad tech funding decline? According to data collated for the Financial Times by CBInsights and published in a recent article on ft.com about the California giants dominating the ad-serving market, 2016 will end with a total of 343 ad tech deals, a 17% drop from the 414 deals closed in 2015. The same data showed Q4 2016 saw 69 deals – the lowest in any quarter since 2012. The struggle faced by the ad tech sector, according to Financial Times, is the dominance of the Google and Facebook duopoly. The article, which has sparked some controversy since being published on 3 January, cites the Internet Trends report published by Mary Meeker of US venture capital fund, Kleiner Perkins Caufield & Byers. The report claims Google and Facebook jointly accounted for 75% of all new digital advertising spend. The article makes bold claims that ad tech deals have been upended, primarily by the growth of Google and Facebook, with ad tech being a victim of its own success, resulting in an increasing lack of differentiation among technologies. However, according to the article, the dominance of the duopoly will forced ad techs to innovate, driving new growth in funding in due course. Questions have since arisen around the validity and reliability of the reported numbers, as well as Google and Facebook being cited as the cause of funding in ad tech drying up. Are Google and Facebook, neither known for their successes in the ad tech game, really to blame? Or is ad tech itself, and the funding associated with it, going through a revolution? With some very healthy exits and IPOs in the ad tech market in 2016, opinions are certainly divided on Google and Facebook’s impact on ad tech. The renaissance O’Kelley refers to will come from three key elements: machine learning creating a virtuous cycle for marketers, publishers, and consumers; a decrease in the percentage of ad spend going to intermediaries using the ad network business model; and the favouring of views and native advertising, spelling the death knell for impressions and banners. 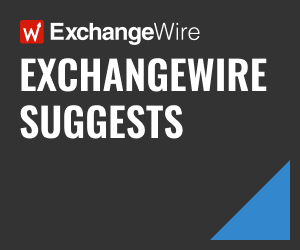 In harmony with ExchangeWire’s recent opinion piece heralding a new ad tech cycle, O’Kelley believes the next couple of years in ad tech won’t be pretty, but the current phase is necessary for us to reach the next cycle. The IAB UK have appointed Jon Mew, formerly the IAB’s chief operating officer, as their new CEO. Mew succeeds Guy Phillipson, who is stepping down after 12 years in his role as CEO. With a strong background in mobile, having joined IAB UK as head of mobile in 2008, 2017 signals a good time for Mew to take the helm, with 2016 being the first year mobile display ad spend overtook that of desktop. Following a 20% increase in programmatic revenue in just three months, as a direct result of header bidding, The Telegraph have announced they will reinvest the profits to quadruple the size of their programmatic team to 12 people, reports Digiday. The annual Global Advertising Trends report, released by IHS Markit, reports that global advertising revenue increased 7.1% to USD$532bn (£364bn) in 2016, as first reported by Mediapost. The report credits the increase to “big brand budgets and quadrennial events, such as the Olympics, European Football Championship, and US Presidential Election”, as well as strong growth in private consumption. UK, Germany, and France were among the top 10 ad markets. IHS Markit predicts an even stronger 11.1% increase in global advertising revenue in 2017 to USD$590bn (£404bn), but expects the growth to come increasingly from emerging markets, such as Middle East, Africa, India, and Indonesia, rather than the top 10 more mature markets.